InsideHigherEd.com—an online trade publication for higher education—released today its own picks for the NCAA Men’s Basketball Tournament Bracket based solely on academic standards, and Nashville’s Belmont Bruins won the Championship trophy. On the road to the Championship, Belmont “defeated” some fellow academic powerhouses, including the University of Virginia, University of Georgia, University of Dayton, University of Louisville, Duke University and, in the title game, the University of Kansas. The Inside Higher Ed website annually completes an NCAA bracket based on each team’s academic performance, with teams in the bracket “competing” based on Academic Progress Rate (APR) scores, the N.C.A.A.’s multiyear measure of a team’s classroom performance. If teams tie on APR, Inside Higher Ed then moves to Graduation Success Rate, which measures the proportion of athletes on track to graduate within six years. Belmont’s men’s basketball currently boasts a perfect 1000-point APR as well as a 100 percent graduation rate. 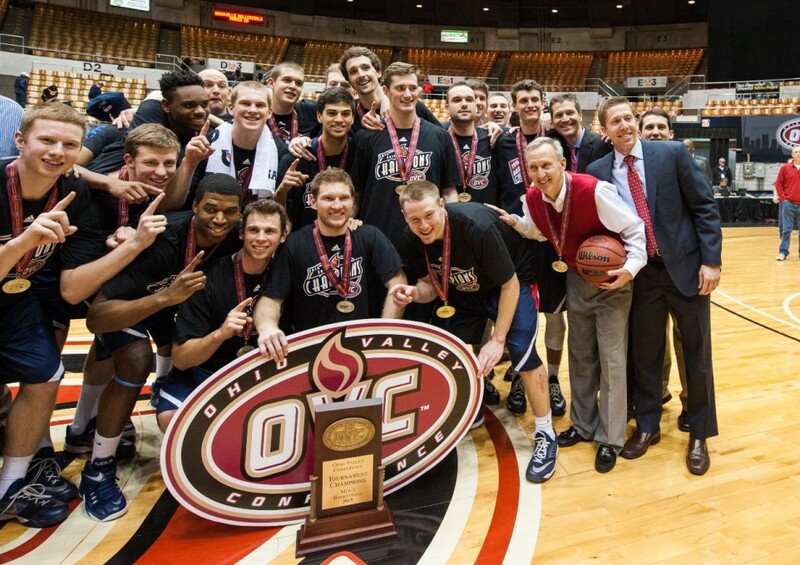 Belmont, the only team in Tennessee to be invited to the 2015 NCAA Men’s Basketball Tournament, also won the Inside Higher Ed Academic Bracket in 2013. Men’s basketball Head Coach Rick Byrd added, ““On behalf of our players and coaches, I would like to thank Inside Higher Ed for recognizing the Belmont Basketball program in this way. We take pride in the academic accomplishments of our program – past and present – and full credit goes to our players. It is neat how Inside Higher Ed puts this twist on the NCAA Tournament bracket each year. Belmont learned on “Selection Sunday” that its No. 15 seed men’s basketball team will face the No. 2 Virginia Cavaliers on Friday in the second round of the 2015 NCAA Men’s Basketball Tournament as part of the East Regional bracket. Tip-off time is 2:10 p.m. Central from Time Warner Cable Arena in Charlotte, North Carolina, and a Watch Party on Belmont’s campus is currently being planned that will be free and open to the public to attend. For more information on the Inside Higher Ed bracket, click here. For USA Today’s story, click here. For NPR’s coverage, click here.